Come join the adventures of Captain Frankie and the Angelic Airlines flying angel as they travel across the world to the Seven Natural Wonders of the Earth. 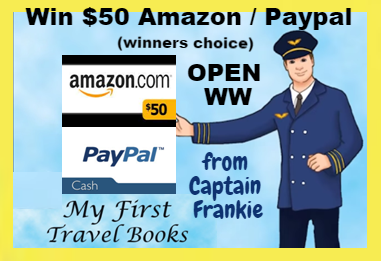 Captain Frankie is waiting for you to book your ticket, safely stow your bags, and open your eyes to the beautiful places created for all of us to visit in My First Travel Books. This is Anna Othitis’s second trip with Captain Frankie and the crew. Originally from Zimbabwe, Africa, her home port is now Wanaque, New Jersey, and she has flown across the world in her travels. 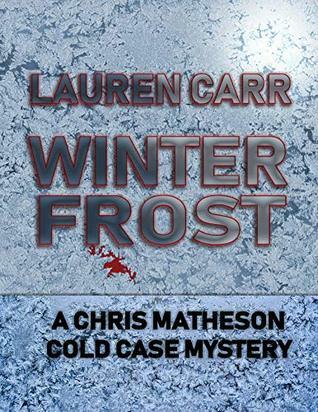 What a great book for children! The Seven Natural Wonders of the Earth is part of a series called My First Travel Books. 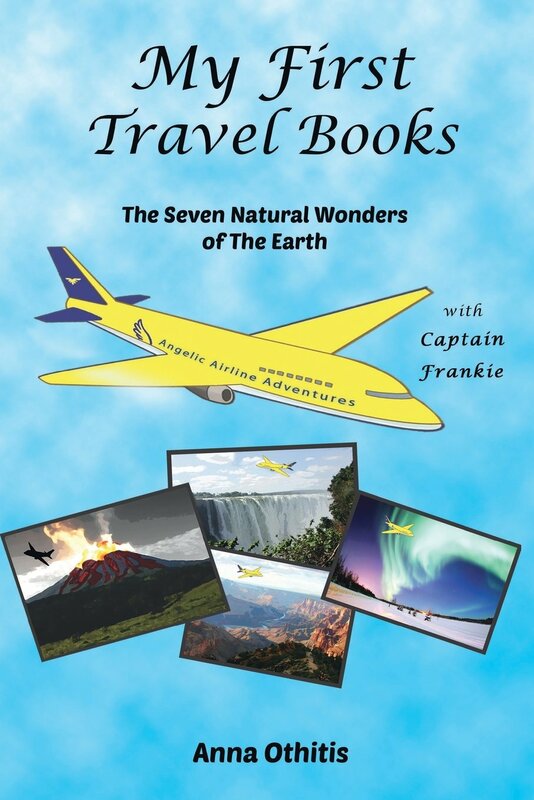 In this book, Captain Frankie of Angelic Airlines takes you on a journey to the Seven Natural Wonders. It starts with a flag for each country that contains a Natural Wonder as well as a map of the world showing the Wonders. For each of the Wonders there is a picture, a poem about it, a page with information about the Wonder, and questions to answer. 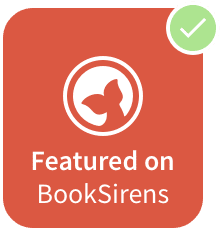 The Seven Natural Wonders of the Earth is a great book for children to learn about some of the Wonders in our world. 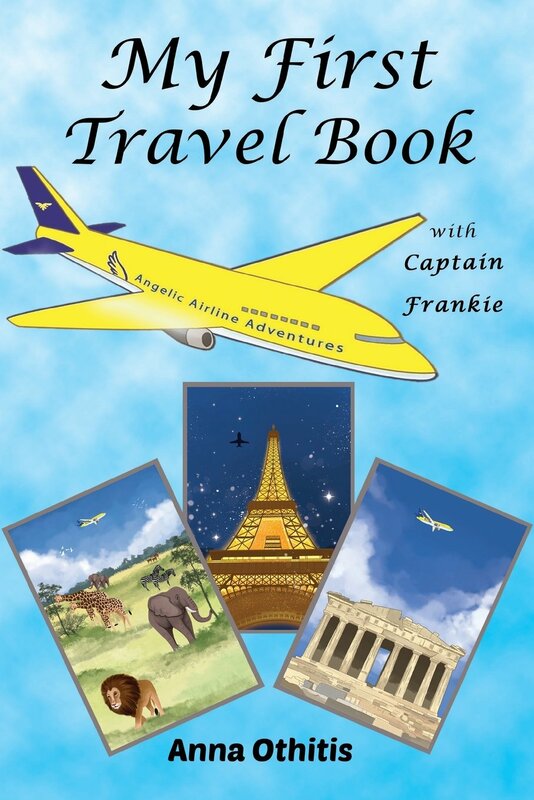 Come join the adventures of Captain Frankie and the Angelic Airlines flying angel as they travel across the world to some of the most popular, entertaining, and educational places in the world. 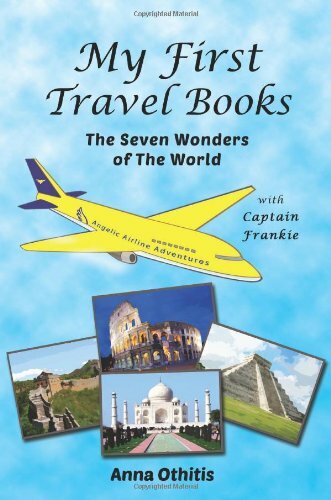 Come join the adventures of Captain Frankie and the Angelic Airlines flying angel as they travel across the world to the Seven Wonders of the World. 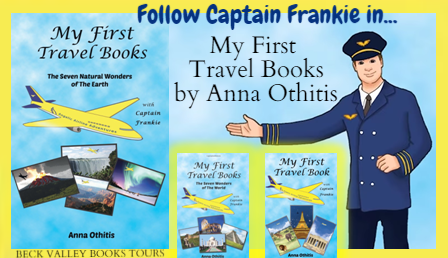 Captain Frankie is waiting for you to book your ticket, safely stow your bags, and open your eyes to the beautiful places created for all of us to visit in My First Travel Books. This is Anna Othitis’s third trip with Captain Frankie and the crew. Originally from Zimbabwe, Africa, her home port is now Wanaque, New Jersey, and she has flown across the world in her travels. I lived and was raised in the beautiful land and country of Zimbabwe, Africa (home will always be home). 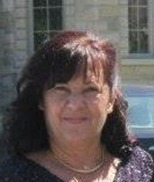 We relocated to Wanaque, New Jersey, USA, our new home and where our younger son, Frankie, took up his “American Dream”. 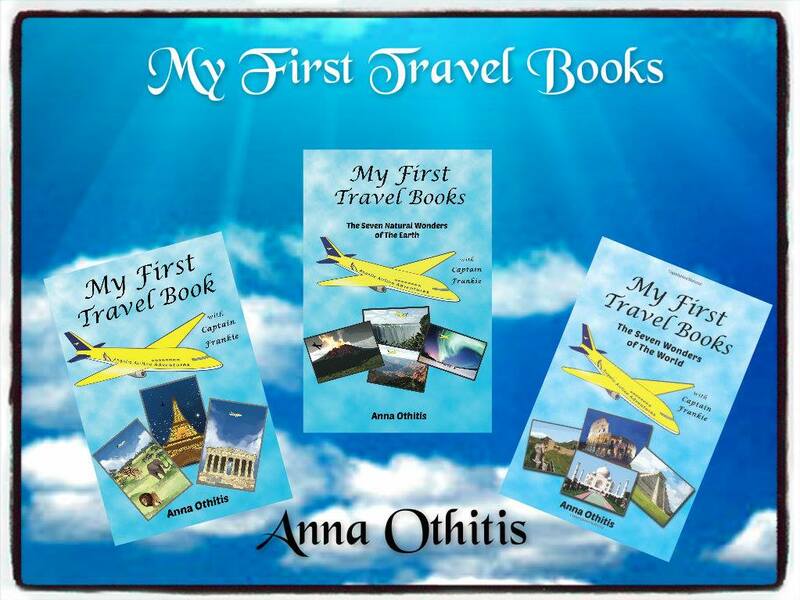 My husband George, sons Johnny, Elia and Frankie encouraged me to write my first children’s book titled My First Travel Book, which was inspired by Frankie (Captain Frankie). Given a wonderful opportunity, he graduated in his Masters degree in Aeronautical Science, and is successful in his career as a professional pilot. My favorite saying is: “Be Bold Be Brave”. My dream is to be given the opportunity for my book to reach each and every less fortunate child who will have the opportunity to fantasy travels through our book to see our lovely world destinations, and to one day to give back and assist the needy in Africa and beyond, to keep giving care and love to the less fortunate. Whilst in Zimbabwe I was involved with many charitable organizations and groups where my greatest passion and love was with the primitive, simple people of Zimbabwe, Africa and will still continue to reach out to the many beautiful children of the world. Now living in the USA, after having traveled some short and some long journeys, to get to our final destination, we realize how small this world really is, yet is also so big and so beautiful in each and every corner. Still so much is untouched by humans, which will hopefully remain sacred in many areas. We have to cherish every and all beautiful things that our planet earth has to offer to us. Looks like a really cute book for children to look through and enjoy. It is. I just received another book in the series, Seven Wonders of the World, which looks just as good. 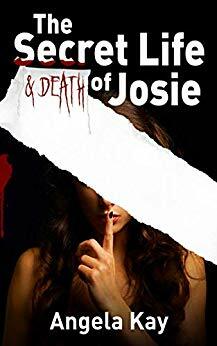 I’ll be posting a review of it soon. I liked the bright yellow plane in each pic. I would like to go to St Thomas, the beaches are peaceful.